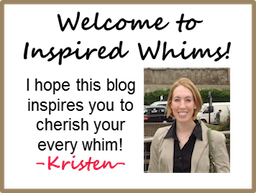 So often we focus entirely on the interior design and decor of a home and forget about the ever-important yard and facade of a house. Though they say not to judge a book by it's cover, a house with a gorgeous yard is apt to have an equally fantastic interior. Landscape design always fascinates me because it's a fine art that so few understand but everyone always appreciates. 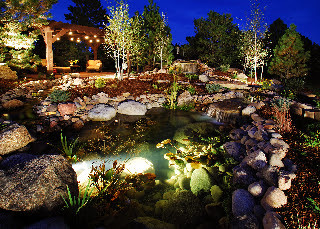 Check out the pictures of a dear family friend and landscape architect, Elizabeth (Buffie) Mumm, who designed and executed a fabulous outdoor space installed by ABC Landscaping of Colorado Springs, CO.
Who doesn't dream of a babbling brook in their backyard? 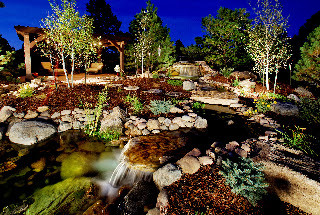 The placement of winding river rock and greenery among the varying grades of a complex water feature signify the fine detail that went into this impressive design. Here is a peak at the back of the house that overlooks this amazing display. Is it just me, or don't you want to hop over the stepping stones and peek inside too? The exquisite lighting installations really brighten up the outdoor space, even in the dark of night. 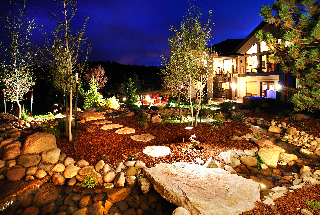 From intimate bistro lights hung on the pergola to uplights on the trees and underwater lighting - this backyard glows!